Celebrate with The Wooden Spoon, 5047 N Clark, on Friday, December 7th, for its 16th Anniversary Sale! Enjoy 16% off all non-sale items. Save 16% on cooking classes too with code Spoon16. This is the one-day a year discounts apply to cooking classes! 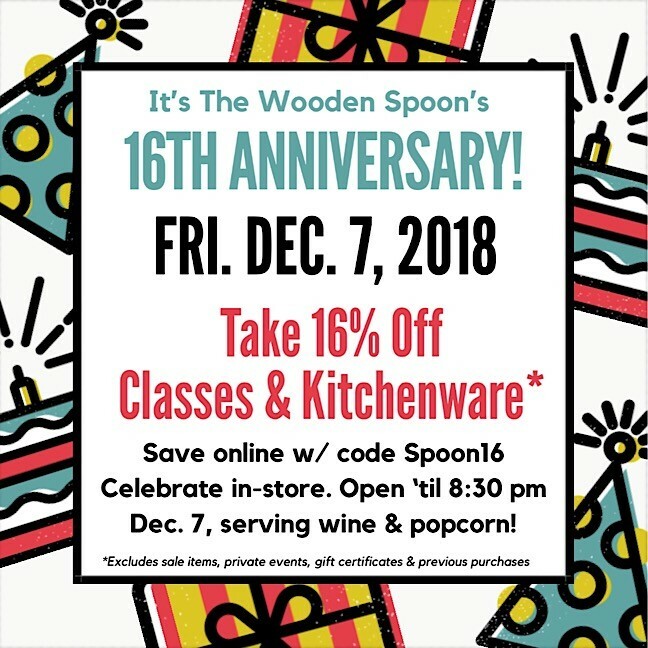 The Wooden Spoon is open until 8:30 on Friday. Stop in to cheer its anniversary with a glass of complimentary wine.